The city of Chicago has selected Elon Musk's The Boring Company to build an express train from downtown to O'Hare International Airport, and Musk said construction could begin in as little as three to four months, according to The Verge. The decision paves the way for the city and The Boring Co. to begin negotiations on a contract that will identify costs and the construction schedule and then be submitted to the Chicago City Council for approval. The Boring Company has proposed an underground twin-tunnel design that will move commuters between downtown and the airport in 12 minutes using a system of electric vehicles that travel more than 100 miles per hour. Each electric vehicle will be able to accommodate 16 passengers and their luggage on a pick-up schedule of approximately every 30 seconds. The company's plans include using an unfinished underground transit station downtown and building a new one at the airport. The company, which plans to use mostly women, minority and veteran-owned subcontractors, has proposed fares that are less than what taxis and ride-share services between downtown and the airport cost travelers. The Boring Co. will take on design, build, finance, operation and maintenance responsibilities with no taxpayer funding. The city is also waiting for the company to flesh out construction, operational and safety details of the project. Musk said it shouldn't take longer than three years to build the system and get it up and running. The contender for the project was O'Hare Xpress LLC, which is comprised of Meridiam, Antarctica Capital, JLC Infrastructure, Mott MacDonald and First Transit. But Musk's win solidifies the project as the first to make way for practical application of the "skate" system that Musk has been promoting. The Tesla and Space-X founder said that his system could greatly reduce traffic congestion by transporting vehicles and pedestrians in special pods via the skates, or sleds, which would travel at speeds of up to 130 mph. 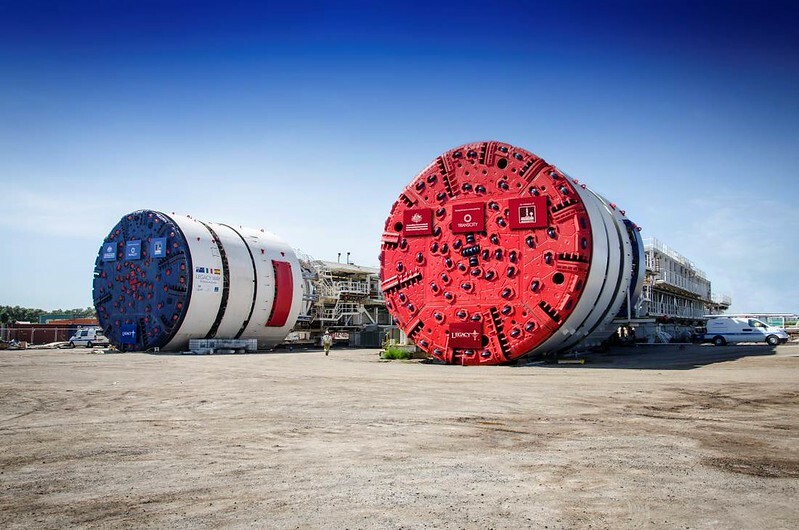 The Boring Co. is currently working on a test tunnel at the Hawthorne, California, Space-X headquarters, but has received pushback from environmentalists about plans to build a test tunnel under Los Angeles. The city council's public works committee approved giving the company an exemption from having to follow certain environmental reviews, but local residents are concerned that tunneling will cause damage to their homes. The full city council must still vote on the test tunnel and any exemptions from the reviews that are typically required of transit projects.